Jacobs Process is a form of emergent pedagogy, which evolved as an educational strategy designed to bring together disparate and perhaps conflicting elements of environments peacefully. Like the dance that emerges though the plot of Happy Feet 2, the process emanates fun and energetic excitement. The crucial elements of both narratives are that the protagonists have a strong sense of identity, willingness to dance, draw and paint or become engaged in narrative and drama activities, some kind of theme or story into which the strategy can be woven and from which the improvised choreography or arts based activities can be fashioned. Jacobs Process; a project based integrated arts strategy requires the constant use of some kind of defined “space” such as a gym, garden or hall that contributes to and is altered by the cooperative collaborative strategy. Happy Feet 2 was less planned but extremely well defined by the catastrophic confinement of an entire population of penguins trapped by an icy avalanche. Music is an integrated essential but the range of music that could support the process is not limited. All that is required is that the music be powerful and the narrative compelling. The difference between Happy Feet 2 and Jacobs Process is the crucial element that makes this animation a highly valuable tool for educators. It is an accessible, energetic, attractive example of how the process works to bring about intercultural understanding. By watching the movie teachers and students alike can be immersed in a pretext, which points to the value of working through issues in a collaborative way. It is because the movie is pre-emptive that it can be called a visioning technology. 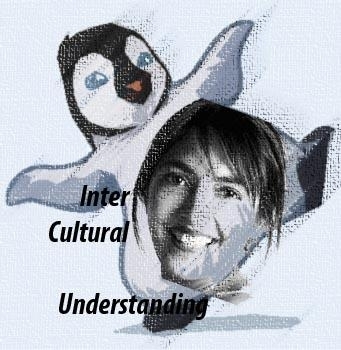 By immersing in a sample of Jacobs Process provided by the animated movie Happy Feet 2 dancers and artists can become accustomed the idea of cross cultural dancing, visual arts projects and dramatic explorations. Similarly sceptical administrators may come to an understanding that justifies channelling time and resources into a pedagogical strategy such as Jacob’s Process. How is it then that Happy Feet 2 should so perfectly pre-empt the implementation of Jacob’s Process in the year 2012? There is a great deal of current theory positing “readiness” as the catalyst for the surfacing of brilliant new ideas. Fritjof Capra discusses the way that ideas seem to surface across the world at a proximal date. Ideas surface all over the world: when the world is ready for that idea. The fact that other visions exemplifying the process are surfacing internationally ensures that the process remains public property – people can design their own process by immersing in the humour of Happy Feet 2, and then applying the design to the needs of their own environment. This is interesting, Jo. It is well presented and is good information for people to understand. Thanks for spelling it out so well!